After conquering Hollywood and breathing new life into relics like Allen Iverson with his wildly successful Big3 basketball league, Ice Cube and serial Blistex connoisseur LL Cool J are joining forces to scoop up some television networks. And by some, I mean 22. According to TMZ, in light of Disney’s $71 billion acquisition of 21st Century Fox, the Justice Department is forcing the House of Mouse to auction off 22 regional sports channels in order to avoid a monopoly since Disney already owns ESPN. As such, the would-be Niggas with Networks are part of an investment group that’s looking to stockpile their assets to bid on said channels. Which include various Fox Sports affiliates and the New York-based YES Network, which is valued at $5 to $6 billion alone. But with the price tag as steep as $25 billion for all 22 stations, these rappers-turned-entrepreneurs have reeled in billionaire CEO Carolyn Rafaelian to help foot the bill. If successful, this endeavor could prove to be Ice Cube’s biggest to date. 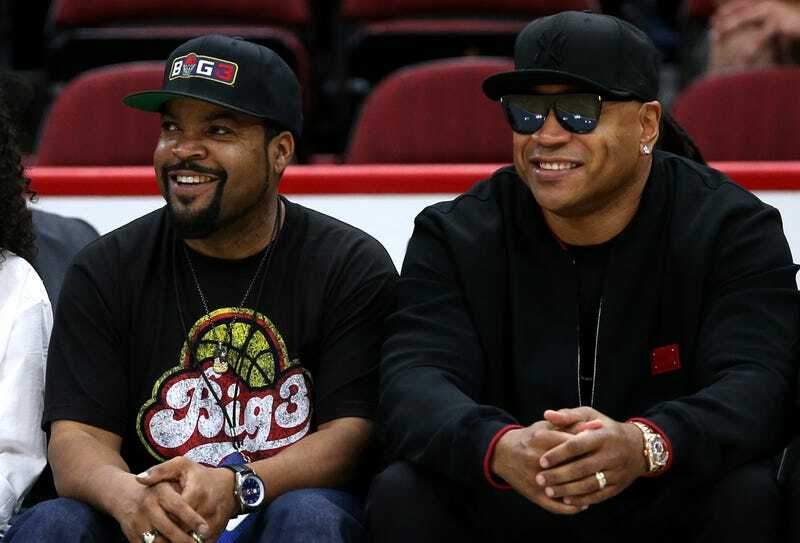 While his film and television production company Cube Vision has racked up hundreds of millions of dollars in the box office, he also launched an emerging 3-on-3 basketball league, Big3, in 2017 with his longtime business partner Jeff Kwatinetz. The initial bids begin today.